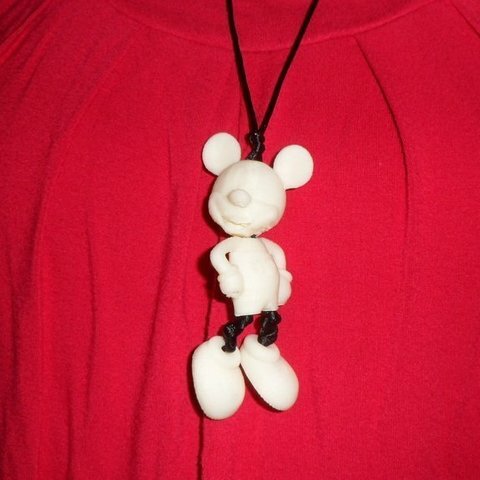 Remix from Flat-footed Mickey Mouse. Use a long rope or shoelace 100-110 cm. Braid or hook it to his legs. Crosses at the neck rope. Then leave a long piece of rope free overhead and back down through Mickey Mouse. Make a knot under each shoe. 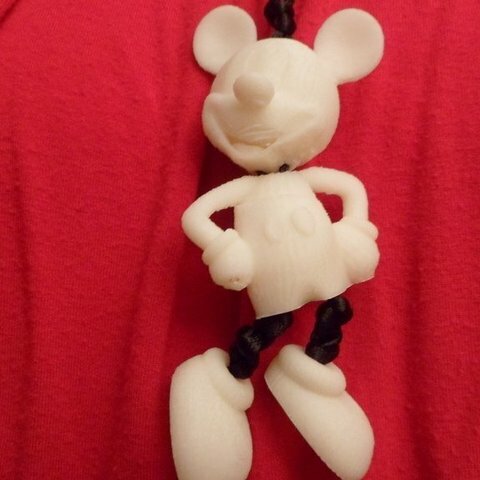 In the end you make a knot just above the ears. Make sure you use a brim (5) by the head ! I used 0.2 mm ABS. 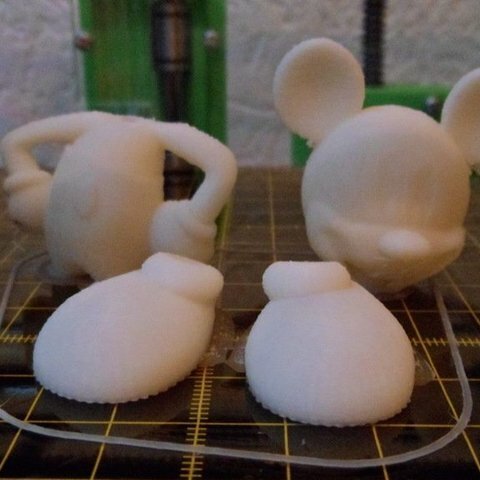 MAKE SURE YOU USE A BRIM WHEN PRINTING THE HEAD ! 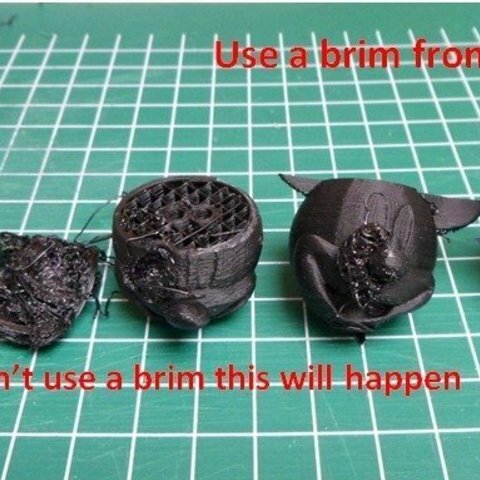 I used brim 5, otherwise it will not stick on your printing bed.